PERSONALISED WITH RECIPIENTS NAME AND DATE OF OCCASION. 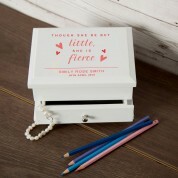 This charming design never fails to bring a smile to the face of anyone who see it as it describes many a young girl. 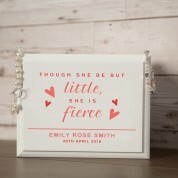 Designed as a personalised jewellery box for any occasion it has the full name of the recipient and her significant date printed within the design. 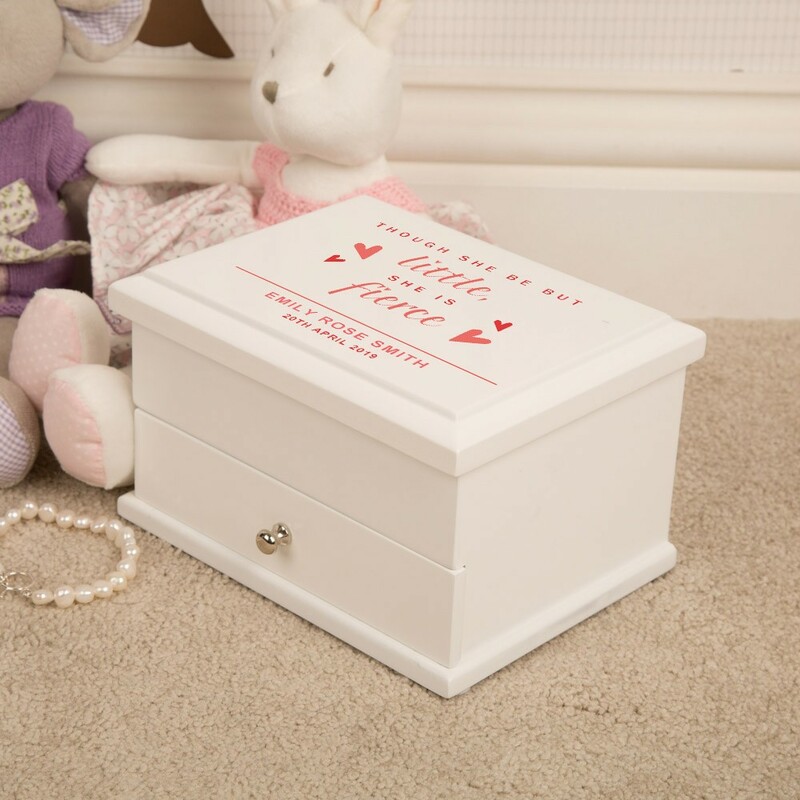 The special date can be birth, 1st birthday, Christening, Baptism and so many more occasions such as Naming or Dedication Day. The box itself is of the highest quality and is certainly a keepsake as opposed to a toy. 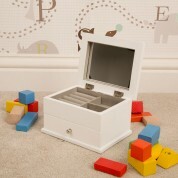 The same jewellery box is used throughout all our ranges and is lined throughout. 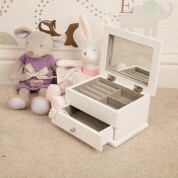 As per the images there is a ring and trinket tray as well as a storage drawer. The lid also contains a mirror.